The forecast was for good weather, but fairly strong winds; it turned out to be less blustery than forecast. I used a Zipp 404 on front and discwheel on back. There was a headwind on the way out to the Chawton roundabout and then a bit of a tailwind on the way back. Nothing special, but I put more effort into the headwind and then enjoyed the speed of the tailwind on the way back. The road surface was a bit of a grind in places. Lateral trenches across the road to give a bumpy ride. On the course, there are a couple of really smooth sections like on the slight downhill to the finish, which was so much more fun. Adam Topham won with a 1.42.15 so I think it was a good fast day. Former national champion Richard Prebble was about 1.47 I think. Average power for race was 287 watts. 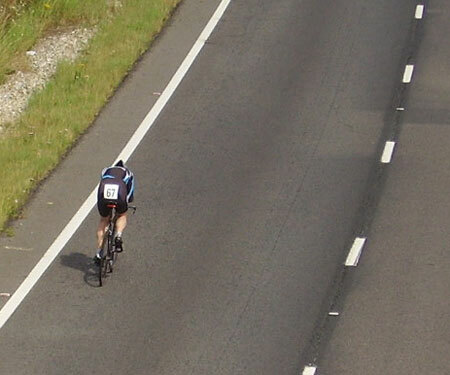 Rather unusually for a 50 mile TT, the biggest power was the last 10 miles. 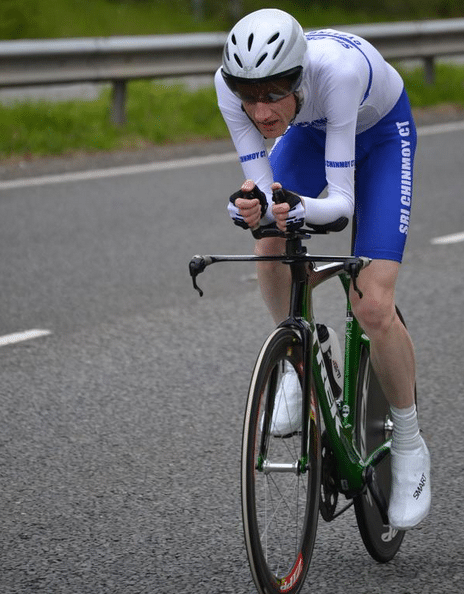 I averaged the last 10 miles at 29.3mph – which is a pretty good speed for a 10 mile TT! Possibly I could have ridden less conservatively and maintained a higher effort throughout the race. But, I have too many bad memories of blowing up on this course and struggling. By comparison in 2014, I did 1.54 at an average of 277 watts. With the first 10 miles much higher watts than next 40 miles. It was a big field for the Charlotteville CC 50 with 130 riders and a separate women’s race. It attracted some of the contenders for the BBAR and was well organised. Everything seemed to go well and everyone seemed pretty happy because it was a good day. A great result, Tejvan. Well done on your ride. And thank you for the compliments on the event.